The purpose of this award program is to encourage students from the greater Charlotte Harbor watershed region (Charlotte, DeSoto, Polk, Sarasota, Manatee, Lee, and Hardee Counties)* to pursue a degree in a field of study related to the environment. 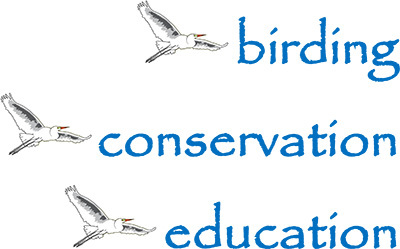 College students with professional goals to pursue conservation biology, wildlife conservation, zoology, or environmental education are invited to apply for the Peace River Audubon Society Scholarship for Environmental Studies. Up to two highly qualified college students will be awarded $1,000 each. Funds may be used for the educational institution’s tuition, books, supplies and equipment, or technical materials. To be eligible for the Peace River Audubon Society Scholarship for Environmental Studies, applicants must meet all of the following criteria. Complete applications must be received by March 31, 2017. Please email all materials (preferably as a single PDF) to: scholarship1@PeaceRiverAudubon.org. Address questions to the same email address. *Preference will be given to students from the Peace River Audubon Society focal counties (Charlotte, DeSoto) but due to the limited number of eligible students from these counties students from surrounding counties (Polk, Sarasota, Manatee, Lee, Hardee) are encouraged to apply.